The 5-4 decision was a big victory for Trump in the court’s first substantive ruling on one of his administration’s policies. 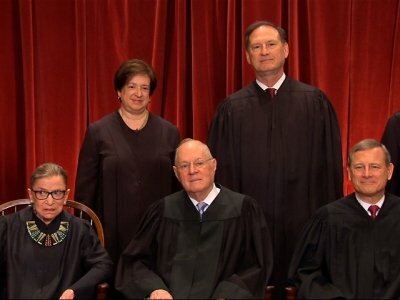 It also was the latest demonstration of a newly invigorated conservative majority and a bitter defeat for the court’s liberals. The ruling came on an issue that has been central for Trump, from his campaign outbursts against “radical Islamic terrorism” through his presidency. He tweeted a quick reaction — “Wow!” — and then celebrated at greater length before TV cameras. But the Supreme Court came to a different conclusion Tuesday. The policy has “a legitimate grounding in national security concerns,” and it has several moderating features, including a waiver program that would allow some people from the affected countries to enter the U.S., Roberts said. Through April, the administration has granted waivers to less than 2 percent of visa applicants — 579 out of 33,176 — since the ban took effect. An additional 1,147 got visas through other means such as diplomatic or pre-existing refugee status.